Please send information on the Community at Rockhill. Why a Life Plan Community? June 7, 2017 at 11:00 a.m.
July 26, 2017 at 11:00 a.m.
Come enjoy a delicious lunch and learn about the benefits of a Life Plan Community, and get answers to all your senior living questions. 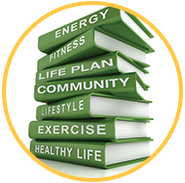 Life Plan Communities offer financial benefits as well as health and wellness advantages to keep you invigorated, inspired and secure. To RSVP, call 1-877-308-6271 or fill out the form provided. 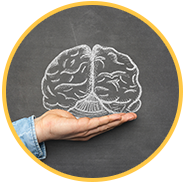 June 8, 2017 at 10:00 a.m.
July 27, 2017 at 10:00 a.m.
Join us for a fascinating look inside your brain. Did you know a 70-year-old brain has as many brain cells as a 20-year-old brain? It’s what you do with them that counts. Starting now, you can do a lot to keep your mind active and engaged. Smoothies and healthy snacks will be served. Thank you for signing up for email updates! We look forward to sharing news about our community with you. If you'd like more information now, please call (215) 257-2751. We are here for you, 24/7!